Kent Carroll, publisher at Europa Editions, bought U.S. rights to Dan Rhodes’s story collection, Marry Me, which Canongate acquired in the U.K. The book marks Rhodes’s third work, after his 2000 collection, Anthology, and 2003 novel, Timoleon Vieta Come Home. Europa said the book, set for a January 2014 release, is a “raucously unsentimental look at love and marriage.” Given the timing of the book, Europa is planning a Valentine’s Day–themed marketing approach. Never mind the five missing books or the erroneously titled debut collection – the good news lurking in there is that our friends at Europa will indeed be publishing Marry Me in the U.S. early next year. So three cheers for them. And we are delighted to have fulfilled our long-cherished ambition of seeing Dan Rhodes in Briefs. Rhodes is off the road now. He has exclusively contacted us to pass on his thanks to everyone who came along to the gigs, to the people who set them up – Bookslam and the Edinburgh Book Festival – and to the other acts who joined in: Aiden Moffatt! Tim Key! Sam Smith! Stewart Lee! Neil Forsyth! Richard James! It was, he assures us, a pleasure and a privilege. 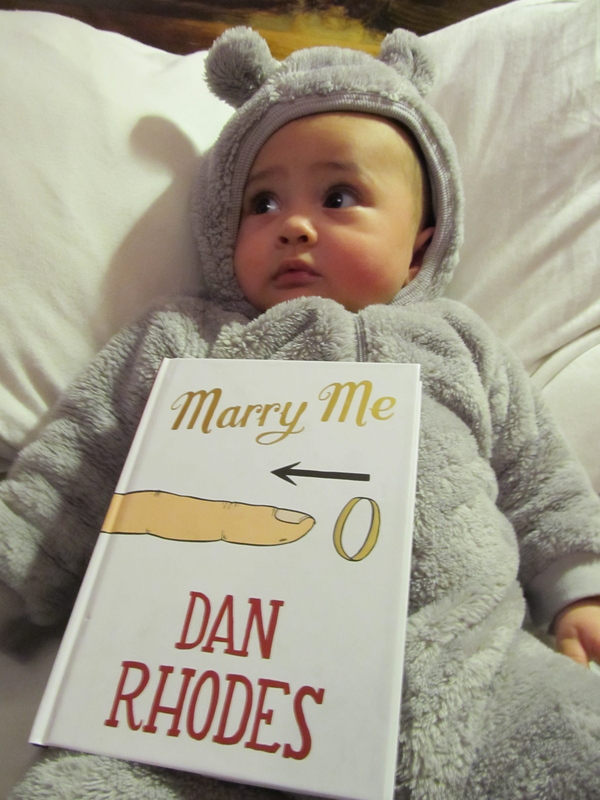 This entry was tagged Dan Rhodes, Europa Editions, Marry Me. Bookmark the permalink. ← A firm bill. Like a duck’s bill.